How to customize the month cell of SfCalendar? 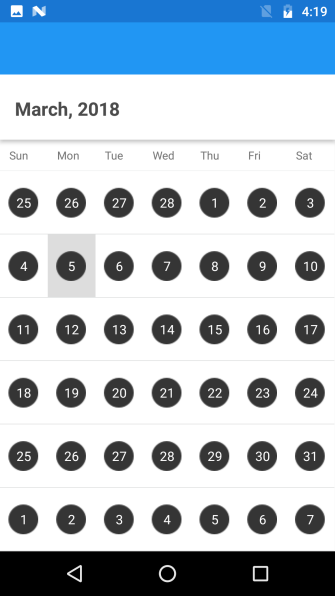 You can customize the month cells of SfCalendar by using CellTemplate in MonthViewSettings. Default binding context of CellTemplate is DateTime which holds the Day, Month and Year. The following code illustrates how to achieve this.